Vintage by Jessika Liebeskind Illuminating Face Highlighter in "Rose Gold"
I have been regularly decluttering from my collection each month - just if a shade or formula doesn't work as I'm using or trying something; but, I always like to start the year with a thorough declutter and organization! I can count about 100 products here, and I didn't photograph everything! 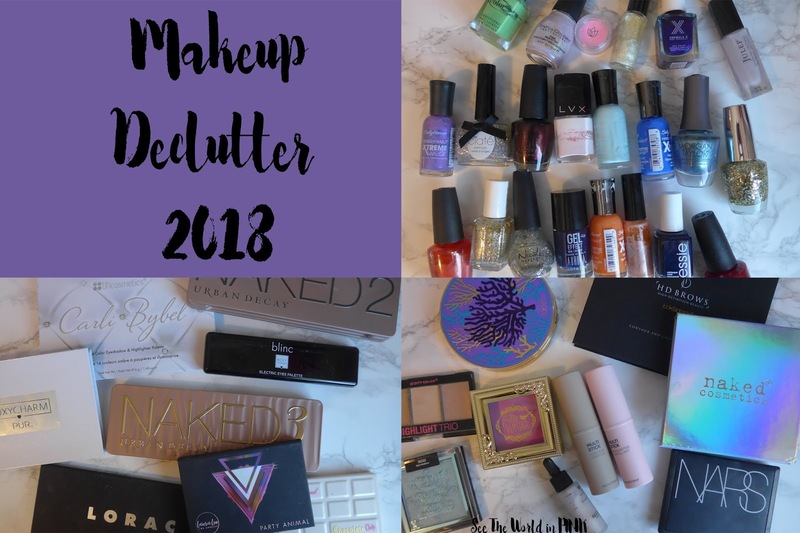 It's not as if anything you see here was pretty terrible, this year end declutter is more so about having products that work for me. So, it's usually that the products are getting old, or I'd like to pass them on to a friend before they get too old to enjoy! Or the shade match or formula just in't for me personally, and most of the skincare has been in my collection too long and it's probably expired! 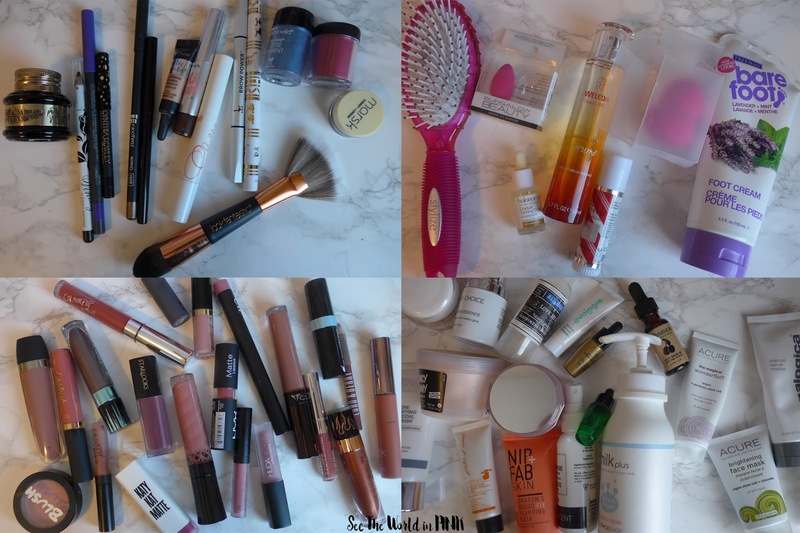 I'm happy with this declutter - I never set a number or percentage of products I like to get rid off, it's just about making sure I pass on what I won't use and making sure the product is good still! This week's "palette" of the week is my ColourPop Super Shock shadows - this was actually a good pick this week; because, I forgot to go through and declutter these and there a few that won't make it through the week! But, I tend to love the shades of these and then never use them, and I like these as lid toppers, so I'm glad to have used them this week! I decided to remove my Books page from my menu bar (well, it's entirely deleted), and since I track my books on Goodreads (if we aren't friends yet, add me here!) and I can chat about and read books there. I will still talk about them on my Friday posts, they just won't have a full dedicated review for each of these on the blog itself. Sent you a message on instagram Brenda!